Ghost mastermind Tobias Forge is sharing his plans for the follow-up to the band’s 2017 album,"Prequelle", ahead of this weekend’s Grammy Awards. Forge tells Billboard that he has been working on the project “for months now," with plans to be in the studio again by the beginning of 2020 with a release later that year. "Luckily, this time around, I feel very certain as to what I want to do," says Forge. "I have tons of bits and pieces and stuff written, and I know that once I really start working that there's going to be a record which feels very inspired. “The dramaturgic nature of the records and the stories are getting more and more intertwined nowadays, which I like. It's almost like working with a series, I guess; you have your characters and you can still f**k with them and add new things and take things away. You can do whatever you want, which is always enticing from a creative standpoint." After winning a Best Metal Performance Grammy in 2016 for "Cirice," Ghost is up for a pair of awards - Best Rock Album for “Prequelle” and Best Rock Song for "Rats" - at the 61st annual event. 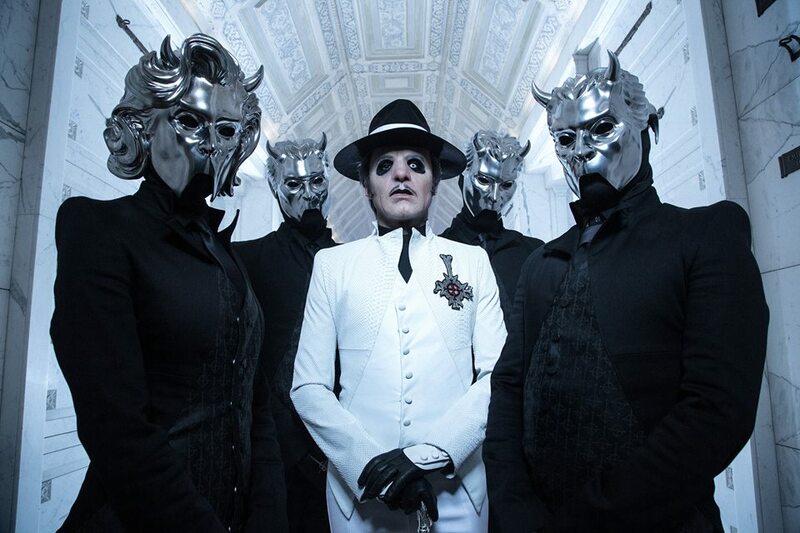 "It's a great honor - very, very joyous," explains Forge, who's also won three Grammy Awards in Sweden and will fly in from Ghost's European tour to attend this year's Grammy ceremony. “You'd think that anyone who experienced being nominated and winning one maybe wouldn't care so much about getting another one, but I can really vouch that is not the case. “I have felt tremendously overjoyed with the first nomination and then it completely blew my mind when I won it last time. And now when I got nominated again, it definitely feels like tremendous." Ghost recorded "Prequelle" with producer Tom Dalgety (Royal Blood, Opeth) at Artery Studios in Stockholm, Sweden. The project debuted at No. 3 on the Billboard 200 to deliver the Swedish band their highest-charting US album to date. The 61st annual Grammy Awards will be broadcast live on the CBS-TV Network from the Staples Centre in Los Angeles, CA on Sunday, February 10 at 8pm ET.